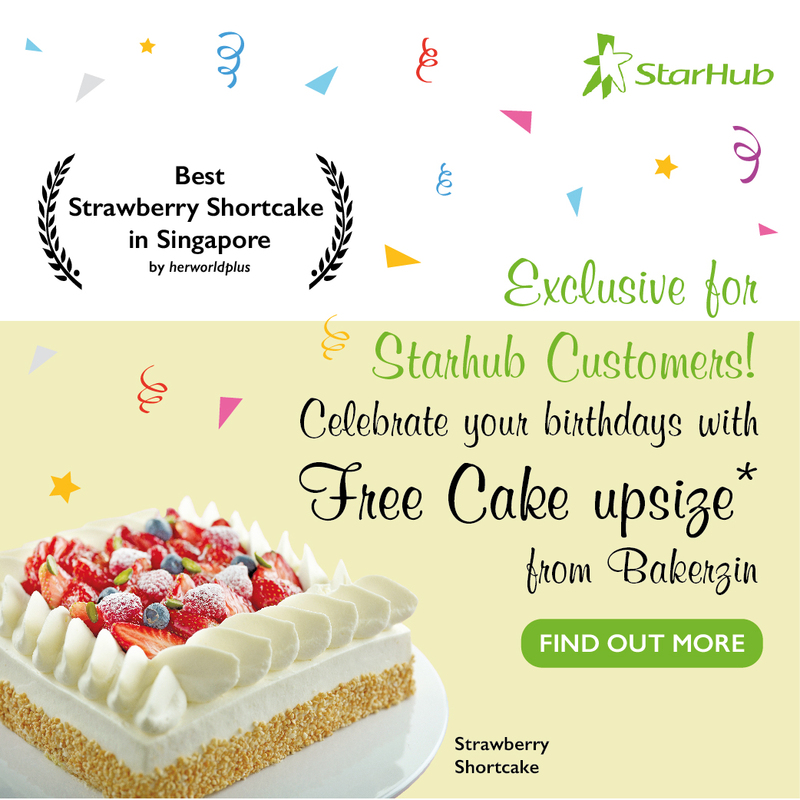 Calling Out All Starhub Loyal Customers During Your Birthday Month! Monday | February 20, 2017	You are now on your way to a divine option from Bakerzin. Simple present Starhub edm/SMS and I/C in birthday month to enjoy offer. Free whole cake upsize with purchase of selected Size 5 whole cakes. You have just another one more reason to celebrate your birthday! Terms & Conditions apply.